Longside Church is a registered Eco Congregation. What does this mean? 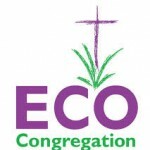 Eco-Congregation Scotland is an ecumenical programme which helps congregations link environmental issues to their faith and to take action in their Church and community. Longside Parish Church registered with Eco-congregation Scotland in 2009. The essence of all this is that God has created a beautiful world for us to live in and it is surely our responsibility to look after it – not just for ourselves but for future generations. Reduced our use of fossil fuels eg newly refurbished Church hall is now fully insulated,uses low energy light bulbs and we have timers for our heating in both the Church and the hall. We are attempting to use less paper e.g. minutes of meetings are circulated by e-mail. The Garden is adjacent to the Riggs Sheltered Housing where we have already sown grass and put in a circular pathway. The plan is to plant shrubs, flowers and fruit trees with the assistance of members of the local Primary School, Boys and Girls Brigades, local Scouts and our Sunday School and Lazer Group. We are inviting some of the residents of the Riggs to help in deciding what type of fruit trees to plant. Obviously some seats will be installed because we hope it will be a pleasant place to spend some time at peace with the world. Once this is up and running we hope to continue encouraging our congregation and community to improve their life styles both physically as well as spiritually in the years ahead.